Want to connect with Lakisa? 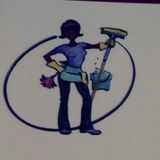 I have residential, business and construction cleaning experience for over 10 years. I am pet friendly and gurantee our work. I do whatever needs to be cleaned some things like laundry and windows are add ons. I am starting my business and have special low prices. Free estimates.